When does game content become too graphic? Too gruesome? Too realistic? Honestly, I’ve got no idea as I happen to have zero taste and I revel in content such as this, Ermac’s fatality from the upcoming Mortal Kombat X. Warning: This stuff ain’t safe for work, life or possibly the lunch you just had. 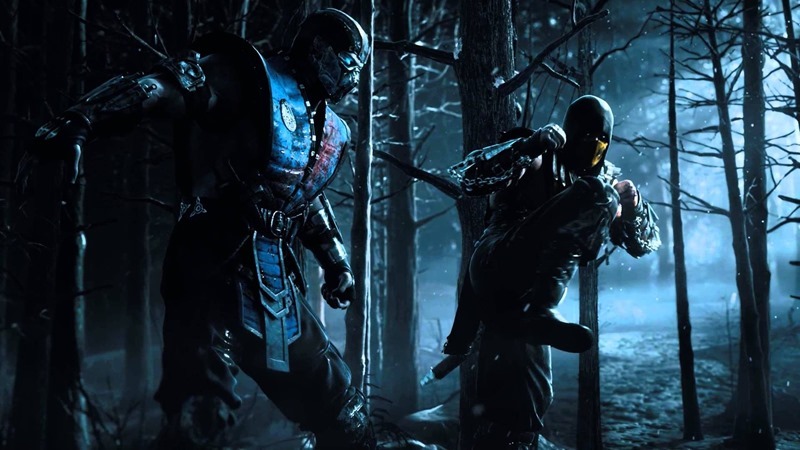 If you can’t see it above, then here’s the gist of the gory finisher: Ermac taps into some of that psychokinetic power of his, hoists his victim into the air and proceeds to break every single bone in their body. BUT WAIT, THERE’S MORE! Because once Ermac is done applying extreme chiropractic techniques to the unfortunate victim, he then proceeds to telekinetically rip their intestines out through their mouth and squish it up into a compressed ball of organs. That’s only one of Ermac’s fatalities of course. And much like any Mortal Kombat game out there, each character is going to have a pair of finishing moves with which to wreak deadly and lethal carnage with. And thanks to current-gen hardware, those moves now look even more realistic and terrifying than ever before. I’ve seen some stuff already, that had my stomach almost heaving. Scorpion for instance, has a fatality wherein he slices an opponents face off, leaving only a waggin tongue behind in the newly formed face-lift. It’s visceral stuff, and will most likely court quite a bit of controversy when the game is out. But then again, that kind of attention is par for the course, in Mortal Kombat.